Beautiful Bunch of 8 Delicate and Purple Orchid Stems handpicked, Greaming bunch to impress your someone special. It's a one side bunch in cellophane packing with a red ribbon. 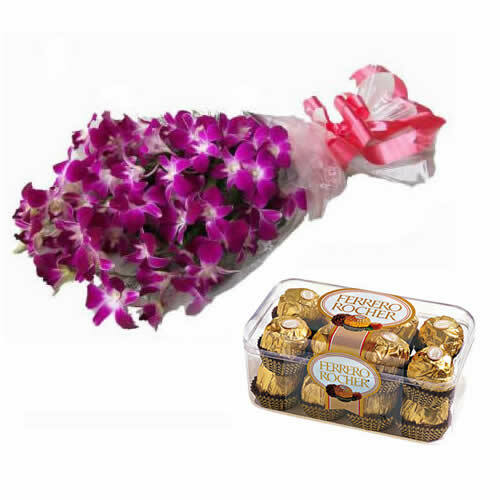 This Combo consists of 8 Orchids Flowers and 1 Ferro Rocher Box 16 Pcs.